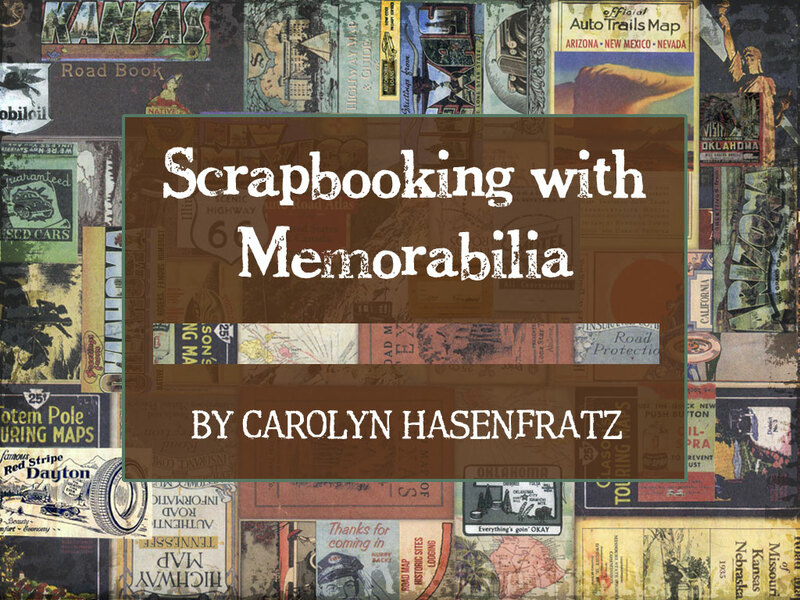 I was due to give a presentation on “Scrapbooking With Memorabila” at the upcoming “Miles of Possibility: The Edwardsville Route 66 Conference” but it was just cancelled due to problems with the venue. If you want to view the slides and read my notes they are on this page. I will still be there as a vendor. I hope you can join us for one or both of these events! September 19, 2015 – Two Parties in One Place: Zwanze Day Spillover – Green Power Challenge Winner in Sutton Loop Park, Maplewood, Missouri. More information at the event link. I’ll be demonstrating Rubber Stamp Carving and Hand Stencil Cutting at the Studio: art tent from 12:00-5:00 pm. October 29-31, 2015 – Miles of Possibility: The Edwardsville Route 66 Conference in Edwardsville, IL. See the event web site for details. I will be vending some of my hand-crafted items and giving a presentation on the topic of “Scrapbooking with Memorabilia”.